Our latest change reflects our permanent goal to provide you with a state-of-the-art and aesthetic protection for your priceless photos. The new watermarks ("Customize" >> "Watermarks") page offers a simplified interface that makes creating watermarks a straightforward activity. The responsive design makes certain, that no matter your device or browser settings, you will always find everything. Of course, improvements in the interface are only secondary to the newly introduced options and the final effect that our improved watermarks have on your photos. The text watermarks among other things allow you to choose from 9 fonts. 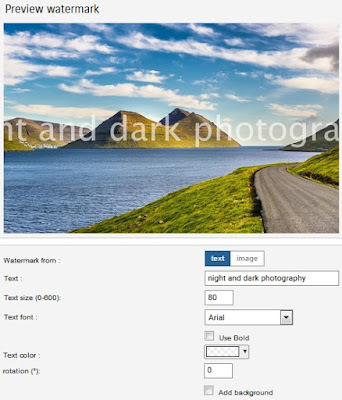 You can also upload your own logo and/or text as the basis for the image watermark. The image watermarks allow you to set the percentage width and opacity in addition to its position. Furthermore, you can now preview your watermarks as they are scaled in relation to the photo resolution with a single click. These changes are applied to old watermarks automatically. For more information, check our support.